From Whiteless Pike, Thirdgill Head Man and Wandope appear as fells of equivalent status. This is an illusion as Wandope's summit is about quarter of a mile beyond the point we see. The ravine of Third Gill separates the two. 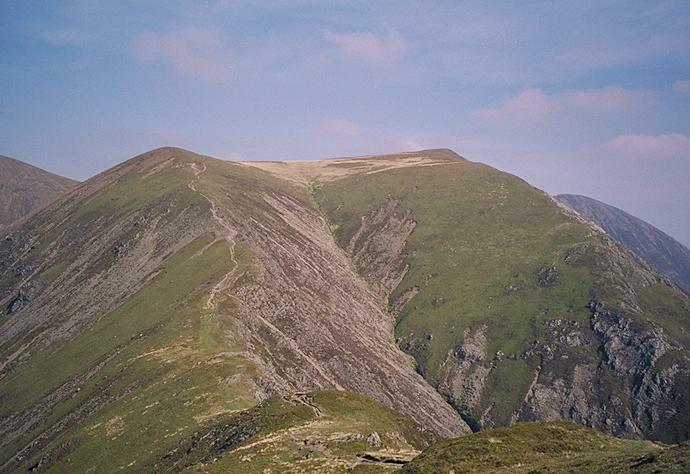 The slope of Grasmoor is to the left and Sail is to the right of the picture. Smaller version of this picture.